Export your sales reports into a CSV file to analyze them easily. 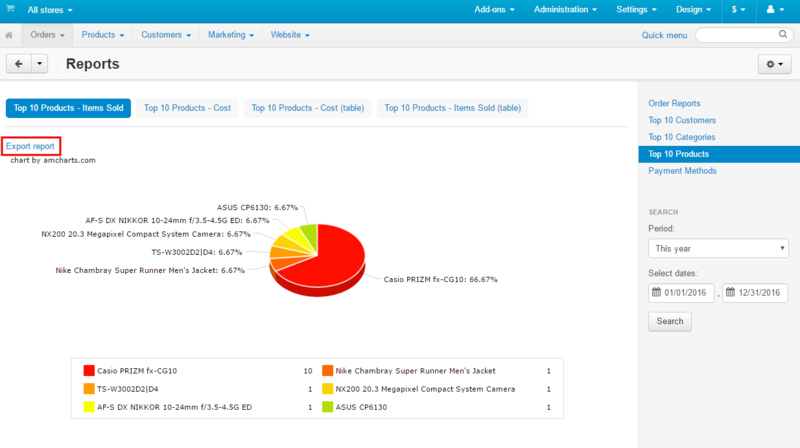 The default CS-Cart functionality allows you to see the sales reports as a table, graphic bar or pie chart. But what if you want to print them out or make a more profound analysis? The add-on allows you to export the reports in CSV for further analysis with your favourite program: MS Excel, Google Sheets or any other software you use. [!] The export report link was missing on the Sales report page. Fixed. [+] The add-on became compatible with PHP5.3 and above.